Tourists at Roxborough Park. Photo from Colorado Highways Bulletin, June 1919. One hundred years ago, the automobile was changing life across Colorado. When the popularization of the automobile coincided with the growth of the American middle class and increased leisure time, the age of automobile tourism was born. In the years between the two World Wars, vacationers descended on National Parks and monuments like never before. Campgrounds, cabins, and resort hotels sprang up in scenic areas all across the country. And the construction of a web of highways across the United States guaranteed the tourism industry would continue to boom after WWII. All that was just getting started, however, when the State Highway Department began issuing its Colorado Highways Bulletin in the summer of 1918. 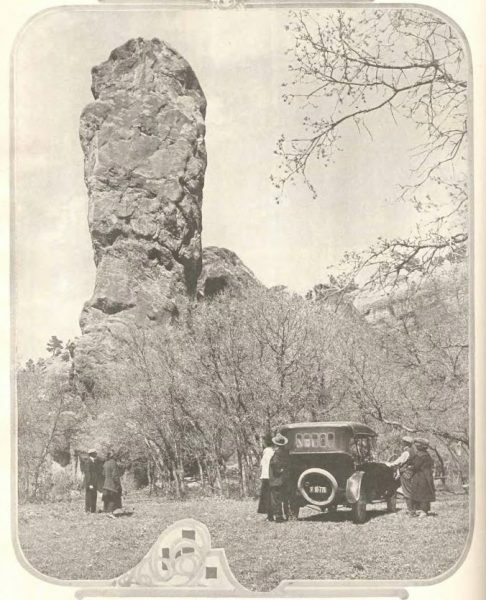 Published monthly through 1919, the bulletin updated Coloradans on highway construction and promoted automobile tourism with articles and photos. The March 1919 issue, for instance — one hundred years old this month — contains panoramic photographs of automobiles and tourists gazing over Colorado’s mountain vistas, along with articles like “Long’s Peak to Pike’s Peak by Auto.” The bulletins also contained information on federal aid to Colorado road projects; new motor vehicle regulations; updates on road projects in other states; and more. This incredible magazine has recently been cataloged and made available online from our library. As you begin to plan your summer vacation, take a trip into the past with Colorado Highways Bulletin. 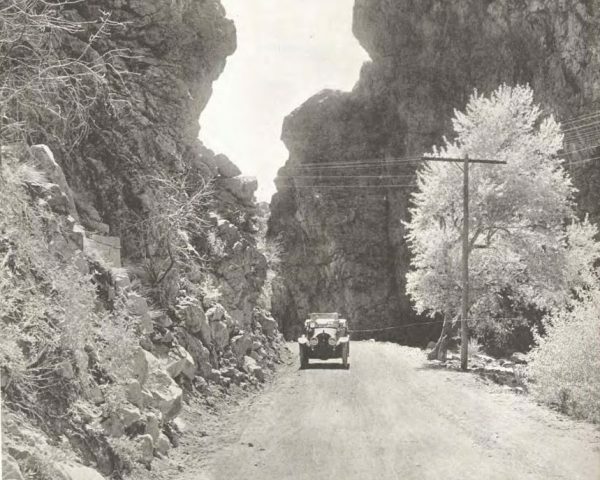 An awe-inspiring photo from the December 1919 issue of Colorado Highways Bulletin.